Educational structures must be determined by the economic and social development needs of countries, the Vice-President of the Zhejiang Normal University, Jinhua, Professor Lou Shizhou has said. Also, such educational systems must satisfy different demands of different stages of the country’s development. 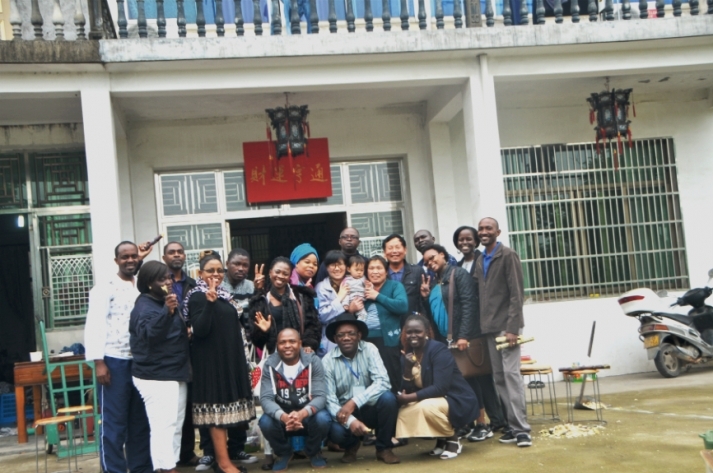 He was addressing African participants at the 2016 seminar on Think Tanks for Anglophone African countries in Jinhua, China. It was organised by the Ministry of Commerce of the People’s Republic of China at the Zheijiang Normal University with sponsorship from the Chinese Ministry of Commerce. Prof. Shizhou explained that China’s development path had been charted along that policy and cited the release in July 2010, of “the Outline of China’s National Plan for Medium and Long-term Education Reform and Development (2010-2020) to promote transformation and development of education” as an example. He explained that China was now shifting from the “Made in China” designation to that of “Created in China”. That, he said, had resulted in the focus on implementation of research and rewarding inventors to encourage more people to invent or create new things. Prof. Shihou said China had evolved from the era of light industry (textile industry), where compulsory education was popularised to meet the demands for talents, to the era of heavy industry (manufacturing), where the emphasis was on developing vocational education and training high-quality talents with technical skills. He also said China was now in the digital age (intelligent manufacturing) where developing higher education and training vocational, integrated, outstanding innovative talents was the focus. In all this, he added, China offered competitive remuneration and compensation packages that attracted Chinese to do more for themselves and the country. He however admitted that the task of building a powerful nation with rich talent resources would not come easy. Prof. Shizhou said solving the problem of disconnection between talent training and utilisation through optimising the education distribution and the structure of the discipline was the driving force of China’s human resource development. He stated that it included innovating the personnel training mode, improving the system of continuing education of in-service staff, making great efforts to develop modern distance education and supporting the development of various professional training institutions. According to him, integrating and coordinating income distribution, and steadily propelling the reform of the salary system, as well as perfecting the reformation of performance pay system and exploring occupational pension system in public institutions were among other measures in place to motivate more people to be creative. He also said China was cultivating innovative talents which combined industry-university research, carrying out an open training mode and advancing the “double-tutor system” of postgraduate, developing enterprise post-doctoral stations and post-doctoral stations by industry-university research. In line with that, he said, a National Talent Project had been in place since 2016 with the view to advancing the plan on Innovation Talent; promoting the Quality of Operation and Management Talents of Enterprises, training of High-quality Education Talents and updating Knowledge of Professional Technicians, among other plans. Additionally, Prof. Shizhou said countries must also be ready to encourage and support the implementation of research as a way of quickening their industrialisation process. China Gets "SET" and & "GO" !